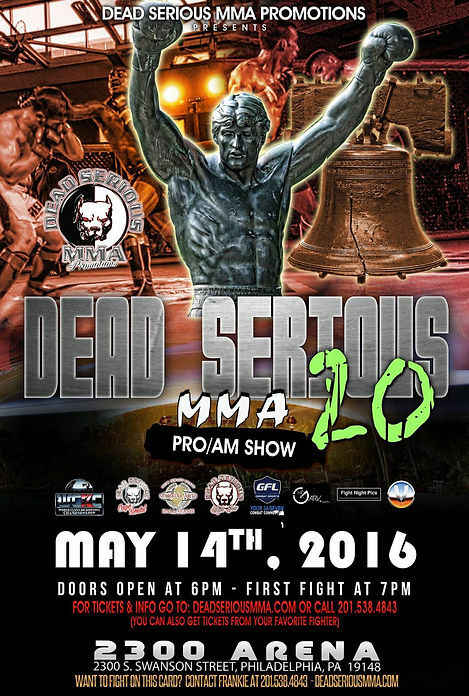 Dead Serious MMA 20 takes place on Saturday, May 14, 2016 at the 2300 Arena in Philadelphia, PA. This is a stacked card featuring both professional and amateur MMA bouts. For ticket info, check out DeadSeriousMMA.com.